Amid tensions between Greece and the Former Yugoslav Republic of Macedonia (FYROM) over the name dispute, Greece’s Balkan neighbour has taken a step to express its goodwill. 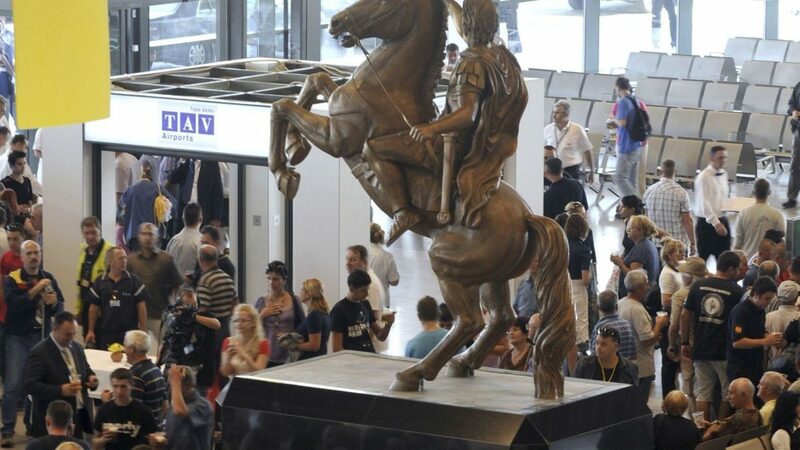 On Thursday, FYROM removed a statue of ancient Greek warrior-king Alexander the Great from its main airport terminal. The prominent statue, which stood at two metres high, was gifted by the Turkish concessionary TAV that operates Skopje’s airport in 2011. The act of goodwill by FYROM’s left-wing government is in addition to its promise to rename both the airport itself and the highway, which up until now have also been named after Alexander the Great. The dispute over the name Macedonia has continued between the neighbouring countries for 27 years.